"I have utilized Philip's services for several successful transaction and would highly recommend him to anyone looking to buy or sell a home in Bergen County." "Philip Soo has extensive local knowledge and singular attention to detail." "I have dealt with Philip and Susy on four transactions in northeast Bergen county over the past ten years worth in excess of $6,000,000 and they have always been extremely knowledgeable and professional. They are straightforward and honest; they look to long-term relationships, not just a quick sale that may not be the best for the buyer as some other brokers do. I'm soon to be engaging their services in another multi-million dollar transaction." "Philip has been an amazing resource for us from the moment we first started looking at homes in Bergen County with him. We were first time home buyers, and he was very patient & thorough in guiding us through the home buying process. He was honest & forthcoming in helping us consider various options during our search & throughout the time we were under contract. And even after closing (and now, 3 years later! ), he has remained a wonderful resource regarding contractors & handymen for things we have needed to do around the house. He has always been immediately responsive to our calls or emails and was the ultimate professional in dealing with us, our sellers, & other realtors throughout the process. We will always use Philip for any real estate transactions we have in the future. You can't go wrong with Philip - he's the best in the business!" "The breadth and width of Philip's real estate experience served us -- the client so well -- as he generated an extraordinary client experience â€” the basis of business success. Bottom line: Philip came prepared for each step the endeavor of selling our home and delivered the goods. Laughter often accompanied his shared insights and business advice, generating calm confidence in our decisions. A special thank you to Kim, professional and delightful always, as she covered the extra yards on behalf of all in the sale. We are now living in Columbia, NJ, happily for the experience of Philip Soo, an agent worthy of the superlative -- masterful." "I've been a client of Philip and Susy's for 16 years, and they've guided me through selling two houses and buying two houses. They are the best of the best! Their knowledge of the local market is as comprehensive as it gets, which makes all facets of the real-estate process easier, more pleasant and more efficient for the client. This team has the perfect combination of skills and assets, from deep roots in the local communities to cutting-edge use of online real-estate tools, in particular marketing. My favorite thing about Philip and Susy is their ability to listen to the client, assess the market, and make a match between the clients needs and wants and the realities of the market. They understand that buying and/or selling a home is an emotional process for most people, and they partner with you every step of the way. As a client, I always know that Philip and Susy have things under control, and as importantly they always have my back. The real-estate process often involves a lot of ins and outs and bumps in the road, and Philip and Susy are superb at smoothing out the rough edges and keeping the client's experience as positive as possible. Absolutely and whole-heartedly, I recommend Philip Soo and Susy Soo for everything real estate!" Philip D. Soo & Susy M. Soo are Top producing Realtors in Bergen County who have helped hundreds of buyers and sellers connect. With decades of experience, Philip & Susy will help you find the property that suits your needs, and provide the best exposure and advice when you market your home for sale. Our real estate website is designed to provide you with the latest market, school & education, and community information with current home listings in Northern New Jersey. Our website has “Featured Searches” a real-time search tool that quickly shows you the market you're interested in, “Neighborhood Values” to look up relevant sales data for your market, and "My Home Tracker" to subscribe to relevant and timely listings via email. Contact us with confidence! We guarantee your privacy will be respected. And we offer the services on this site for free and without obligation. Marketing properties and assisting buyers is the bread and butter of our business, but there are many other Real Estate related activities that relate to individuals who are not presently looking to buy or sell Real Estate where we offer assistance. Thank you for visiting http://www.soorealtors.com/ - your Tenafly, Alpine, Cresskill, Closter, Demarest, Englewood, Englewood Cliffs, Fort Lee, Leonia, Haworth, Leonia, New Jersey Real Estate Information Source! We strive to provide the highest quality of service to all our clients while making each transaction as profitable, professional, successful and stress-free as possible. We understand the importance of professional ethics, integrity and continued education. Call or email us today for information on your next real estate transaction. DISCLAIMER: The data relating to the real estate for sale on this web site comes in part from the Internet Data Exchange Program of the NJMLS. Real estate listings held by brokerage firms other than prominent properties are marked with the Internet Data Exchange logo and information about them includes the name of the listing brokers. 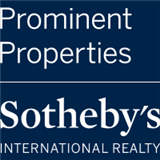 Some properties listed with the participating brokers do not appear on this website at the request of the seller. Listings of brokers that do not participate in Internet Data Exchange do not appear on this website.